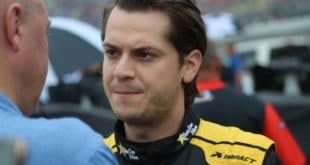 Christian Eckes and Brandon Jones will again drive for Kyle Busch Motorsports in 2019. Eckes will pilot the team’s No. 51 in seven races in the NASCAR Gander Outdoors Truck Series this year, the team announced today (Feb. 5). He joins Jones, who was revealed to be part of the No. 51’s roster yesterday (Feb. 4), driving five events. Both competed in the No. 51 for KBM in 2018, Eckes doing so as part of his first season in the series. The 18-year-old, who is now able to compete at all tracks on the Truck Series schedule, ran four races for KBM in 2018, scoring three top 10s. 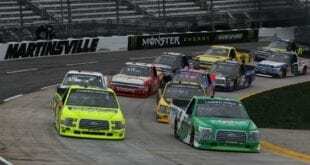 Jones, meanwhile, drove a KBM truck in five races amid his full-time Xfinity Series campaign for Joe Gibbs Racing (a team to which Jones returns this year as well), finishing in the top five three times and racking up four top 10s. 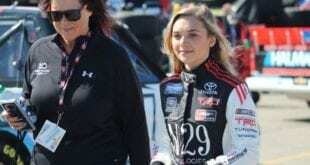 Eckes’ season will begin in the season-opening event at Daytona International Speedway, while Jones’ first start is at Dover International Speedway. 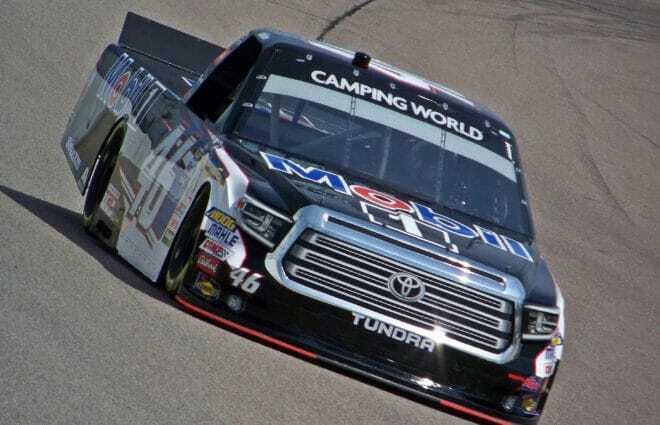 Added Jones: “I’m really looking forward to being back with Kyle Busch Motorsports in 2019 and having another shot at victory lane for KBM in the NASCAR Gander Outdoor Truck Series. We came close last year with four top-10 finishes in our five races, and I think we’re poised to have an even better run this year. Eckes and Jones join team owner Kyle Busch, who is also announced for five races in the truck, beginning at Atlanta Motor Speedway. The rest of the truck’s schedule has not yet been announced. The first race on the Truck Series schedule with a to-be-announced driver for the team is at Texas Motor Speedway in June.